A small handy item crafted with attention to detail here at SpindleCat Studio. 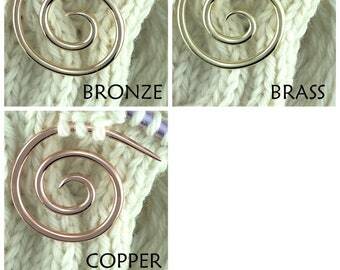 Use one as a stitch holder or a small keeper for your stitch markers. Knitters and crocheters alike can use one or more to count then mark rows in a project. 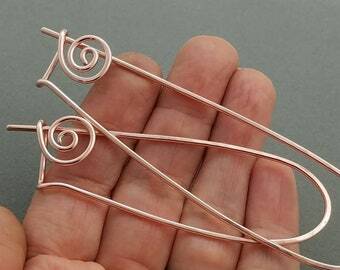 Made from solid 18ga jeweler's brass wire. 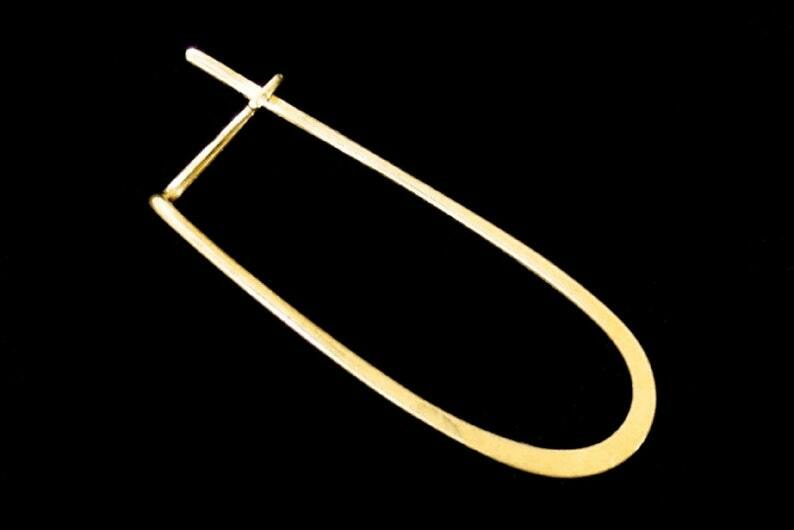 Price listed is for (1) one brass keeper. Last two photos show a (similar) copper holder in use. Stitch markers in photo not included. Wonderful transaction the stitch holder is wonderfully made. wonderful - thank you! They are in good use at the moment. The most beautiful stitch holder in the world. Goodbye ugly aluminum holders. Thank you for this lovely tool.